Travelers around the world count on TripAdvisor and their millions of reviews for tips on the best hotels, restaurants, tours, historic sites, national parks and entertainment suggestions. The recommendations from the TripAdvisor community are ranked by senior reviewer status, star ratings, votes from fellow reviewers, and is a trusted resource for travel information. 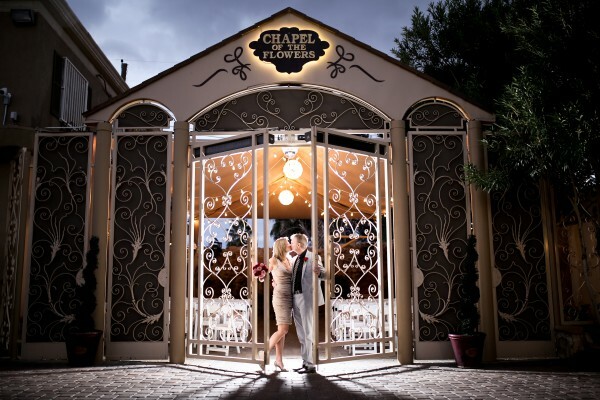 As you might have guessed, Las Vegas is full of interesting things to do, from the expected (Celine Dion in concert; Penn & Teller magic show) to the unexpected (nature and wildlife tours, or chocolate tasting at Ethel M.) So how wedding chapels, specifically Chapel of the Flowers, really rank up their with all the famous Cirque du Soleil shows?